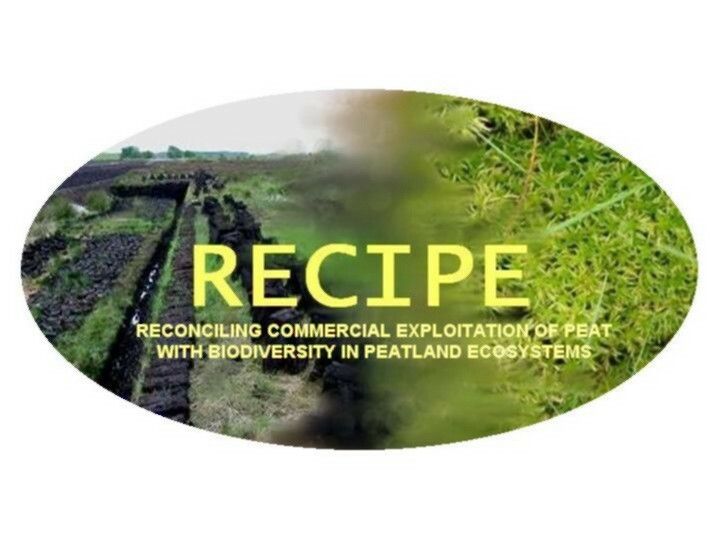 A major research output from RECIPE was the production of a set of guidelines for restoration for the five abandoned peatlands studied in detail during the project. These can be downloaded here as pdf files (available in English, Finnish, French and German). E.A.D. Mitchell, D.J. Charman, B.G. Warner (2007) Testate amoeba in ecological and paleoecological studies of wetlands: Biodiversity and Conservation (In Press). R.R.E. Artz, I.C. Anderson, S.J. Chapman, A. Hagn, M. Schloter, J.M. Potts and C.D. Campbell. (2007) Changes in fungal community composition in response to vegetational succession during the natural regeneration of cutover peatlands. Microbial Ecology (In Press). M. Yli-Petays, J.Laine, H. Vasander and E.-S. Tuittila. (2007) CO2 exchance of revegetated cutover peatland five decaded after the abandonment. Boreal Environment Research 12: 177-190. L.Comont, F. Laggoun-D�farge, J.-R. Disnar (2006) Evolution of organic matter indicators in response to major environmental changes: the case of a formerly cutover peatbog (Le Russey, Jura Mountains, France). Organic Geochemistry 37: 1736-1751. F. Charriere, N. Pavillon, T. Colomb, C. Depeursinge, T.J. Heger, E.A.D. Mitchell, P. Marquet, B.Rappaz (2006) Living specimen tomography by digital holographic microscopy : morphometry of testate amoeba. Optics Express 14: 7005-7013. E. Bortoluzzi, D. Epron, A. Siegenthaler, D. Gilbert, A. Buttler (2006) Carbon balance of a European mountain bog at contrasting stages of regeneration. New Phytologist 172: 708-718. R.R.E. Artz, S.J. Chapman, C. D. Campbell (2006) Carbon utilisation profiles of microbial communities in peat are depth-dependent and correlate with whole soil FTIR profiles. Soil Biology and Biochemistry 38: 2958-2962. S. I. Nikolaev, E.A.D. Mitchell, N.B. Petrov, C. Berney, J. Fahrni, J. Pawlowski. (2005) The testate lobose amoebae (order Arcellinida Kent, 1880) finally find their home within Amoebozoa. Protist, 156(2): 191-202. S. Chapman, A. Buttler, A.-J. Francez, F. Laggoun-Defarge, H. Vasander, M. Schloter, J. Combe, H. Harms, D. Epron, D. Gilbert, and E. Mitchell. (2003) Exploitation of northern peatlands and biodiversity maintenance: a conflict between economy and ecology. Frontiers in Ecology and the Environment 1 (10): 525-532. Artz, R.R.E., C.D. Campbell, A. Buttler, A.-J. Francez, F. Laggoun-Defarge, H. Vasander, M. Schloter, D. Epron, D. Gilbert, E. Mitchell and S.J. Chapman. 2006. Reconciling commercial exploitation of peat with biodiversity in peatland ecosystems (RECIPE). 1st Annual Meeting of the Society of Wetland Scientists (European Charter), Bangor, Wales (UK). January 5th - 7th, 2006, Abstracts, p. 27. Reconciling commercial exploitation of peat with biodiversity in peatland ecosystems. R.R.E. Artz, C.D. Campbell, A. Buttler, A.-J. Francez, F. Laggoun-Defarge, H. Vasander, M. Schloter, D. Epron, D. Gilbert, E.A.D. Mitchell, G. Schwarz & S. J. Chapman. 1st Annual Meeting of the European Chapter of the Society of Wetland Scientists, Bangor, Wales, UK, January, 5-7, 2006. Abstracts pp.27. Toberman, H., Freeman, C., Evans, C. and Artz, R., 2006. The effects of summer drought on phenol oxidase activity and soluble phenolic carbon release in an upland Welsh heathland., 1st Annual Meeting of the Society of Wetland Scientists (European Charter), Bangor, Wales, 5th-7th January 2006, p49. Abstract. The Testate Lobose Amoebae (Order Arcellinida Kent 1880) Finally Find their Home within Amoebozoa. Nikolaev, S.I., Mitchell, E.A.D., Petrov, N.B., Berney, C., Fahrni, J., Pawlowski, J. 24th Annual Meeting of the German Society of Protozoology, Burg Lichtenberg, Pfalz, Germany, 2-5 March, 2005. Measuring and modelling of pore water gases in various regeneration stages of a Jura cutover bogs. A. Siegenthaler, P. Steinmann, A-J. Francez, W. Rosselli, A. Buttler. 2nd Swiss Geoscience Meeting, Lausanne,. November, 19-20, 2004. Abstracts Vol. 2. pp. 296. Microbial indictors of below-ground regeneration of cut-over peatlands. R.R.E. Artz, S.J. Chapman, I.C. Anderson & C.D. Campbell. Proceedings of the 10th International Symposium on Microbial Ecology, Cancun, Mexico 22-27 August 2004. Abstracts pp. 213. The usefulness of testate amoebae analysis in ecological and paeloecological studies of wetlands: past, present and future. 7th INTECOL Internationla Wetlands Conference, Utrecht, The Netherlands, 25-30 July 2004. Reconciling commercial exploitation of peat with biodiversity in peatland ecosystems (EU Project RECIPE). Mitchell, E.A.D., Chapman, S.,Buttler, A., Combe, J., Francez, A.-J., Gilbert, D., Harms, H., Laggoun-Defarge, F., Schloter, M. and H. Vasander. The 7th INTECOL International Wetlands Conference, Utrecht, The Netherlands, 25-30 July 2004. Comparison of carbon fluxes between different stages of regeneration in a harvested bog in the French Jura mountains. E. Bortoluzzi, D. Epron, D. Gilbert & A. Buttler. Proceedings of the 12th International Peat Congress, Tampere, Finland, 6-11 June 2004. Volume 1, pp. 115-116. In-depth pore water gases and ions in various regeneration stages of selected temperate cut-over bogs. A. Siegenthaler, P.Steinmann, A. Buttler, A.-J. Francez, M.Yli-Petays & D. Gilbert. Proceedings of the 12th International Peat Congress, Tampere, Finland, 6-11 June 2004. Volume 1, pp. 340. Diversity of fungi and potential function in naturally regenerating cut-over peatlands. R.R.E Artz., S.J. Chapman, I.C. Anderson & C.D. Campbell. Proceedings of the 12th International Peat Congress, Tampere, Finland, 6-11 June 2004. Volume 1, pp. 344-349. Indicators of regeneration in an abandoned cut-over Scottish peatland. S.J. Chapman & R.R.E. Artz. Proceedings of the 12th International Peat Congress, Tampere, Finland, 6-11 June 2004. Volume 1, pp. 350-355. Biochemical characteristics of peat organic matter and distribution of testate amoebae patterns in two naturally regenerating cutover Sphagnum peatlands of the Jura mountains. F. Laggoun-Defarge, E. Mitchell, D. Gilbert, B. Warner, L. Comont, J.-R. Disnar & A. Buttler. Proceedings of the 12th International Peat Congress, Tampere, Finland, 6-11 June 2004. Volume 1, pp. 383-384. Opportunities and conflicts of commercial uses of peatland in Europe - Socio-economic comparison of case studies from Finland, France, Germany, Scotland & Switzerland. G. Schwarz, H. Vasander, A. Takko, V. Froidevaux, V. Pheulpin, W. Rosselli, P. Grosvernier, D. Gilbert, C. Maitre, A. Gattinger & M. Drosler. Proceedings of the 12th International Peat Congress, Tampere, Finland, 6-11 June 2004. Volume 1, pp. 597-603. A numerical model for the production and circulation of CO2 and methane in peatland. P.Steinmann, A. Siegenthaler & B. Eilrich. Proceedings of the 12th International Peat Congress, Tampere, Finland, 6-11 June 2004. Volume 2, pp. 1015. Carbon dynamics and re-vegetation in Finnish cut-away peatlands. M. Yli-Petays, E.-S. Tuittila, J. Laine & H. Vasander. Proceedings of the 12th International Peat Congress, Tampere, Finland, 6-11 June 2004. Volume 2, pp. 1028. Economic and sociological approaches of French peatlands. C. Maitre, D. Gilbert, A. Buttler, D. Epron, F. Laggoun-Defarge & D. Jacques-Jouvenot. Proceedings of the 12th International Peat Congress, Tampere, Finland, 6-11 June 2004. Volume 2, pp. 1312. Socioeconomic aspects of commercial uses of peatlands in Finland. A. Takko & H. Vasander. Proceedings of the 12th International Peat Congress, Tampere, Finland, 6-11 June 2004. Volume 2, pp. 1313. Applications of radiocarbon-based MicroRespTM. R. R. E. Artz, S. J. Chapman and C. D. Campbell. 'Development of methods for assessing belowground biodiversity as an indicator of soil quality and health' - Workshop, Aberdeen, UK, September, 26-28, 2005. A RECIPE for peatland management? (2004) S. Chapman. Peatlands International 1, pp. 28-29. A. Takko, H. Vasander (eds.). Soiden järkevä kayttö – 12. kansainvälinen suo- ja turvekongressi Tampereella. Summary: Wise Use of Peatlands – 12th International Peat Congress in Tampere, Finland. Suo 55 (3-4): 61-102.